The brits have a spicy thing going on with Colman's mustard. 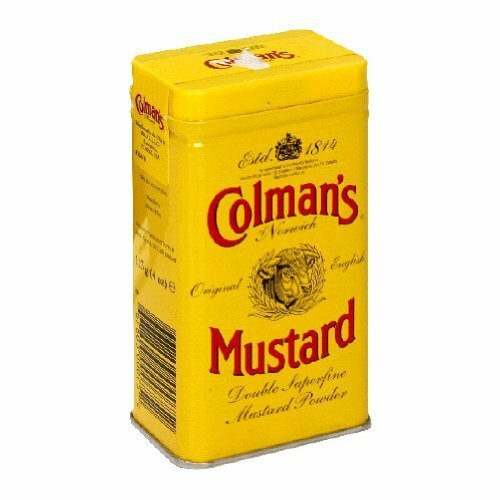 Known internationally as the English mustard, Colman's original has been England's Iconic fiery-hot, go-to cooking essential for nearly 200 years. The smoldering heat and sensational quality is Colman's trademark that makes it a staple in every kitchen. If you have any questions about this product by Colman's, contact us by completing and submitting the form below. If you are looking for a specif part number, please include it with your message.